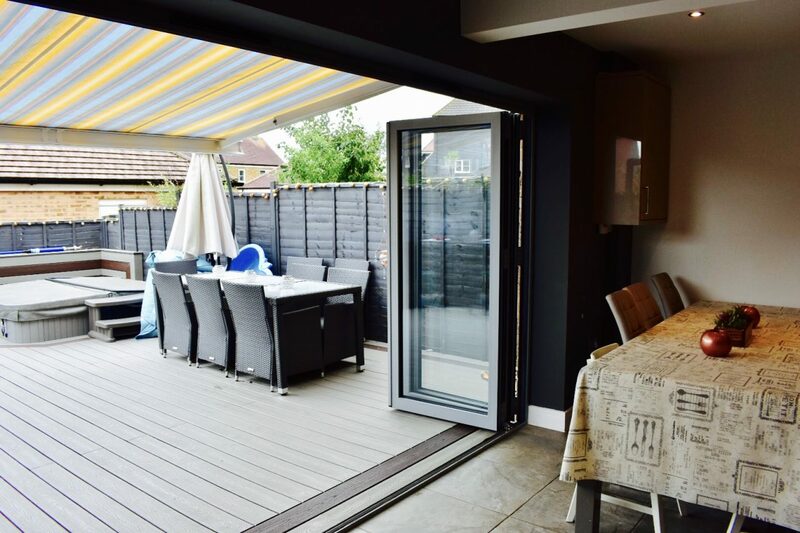 4 Panel Bifolding door, opening out, ‘Orphan’ door opening to right, 3 panels to the left. Special Ral 7040 ‘Window Grey’ accompanied with satin furniture and trickle vents. 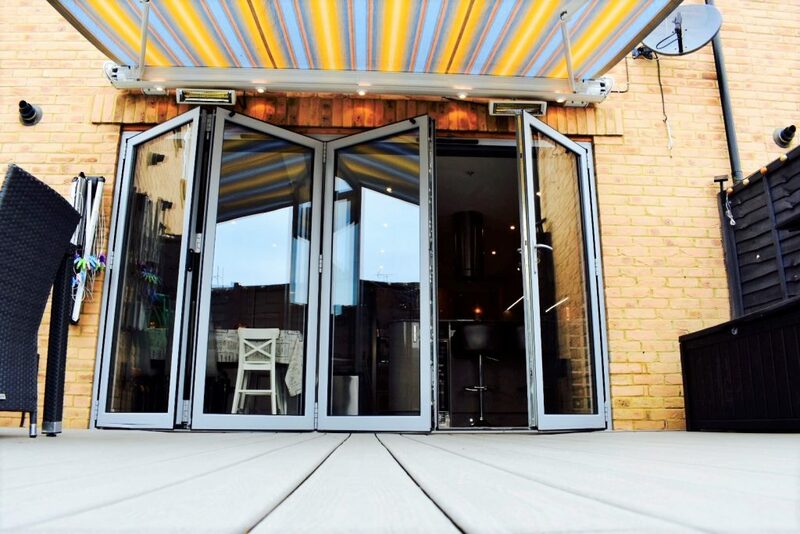 With over 500 Special Ral Colours to choose from, it’s no wonder some people are spoilt for choice. 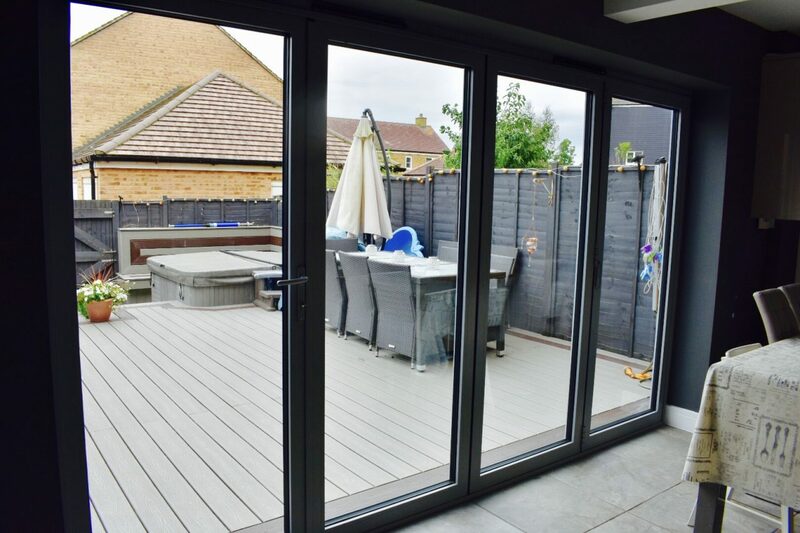 Mr and Mrs Simkins carefully chose a light grey to compliment their home, to be precised Ral 7040 ‘Window Grey’. 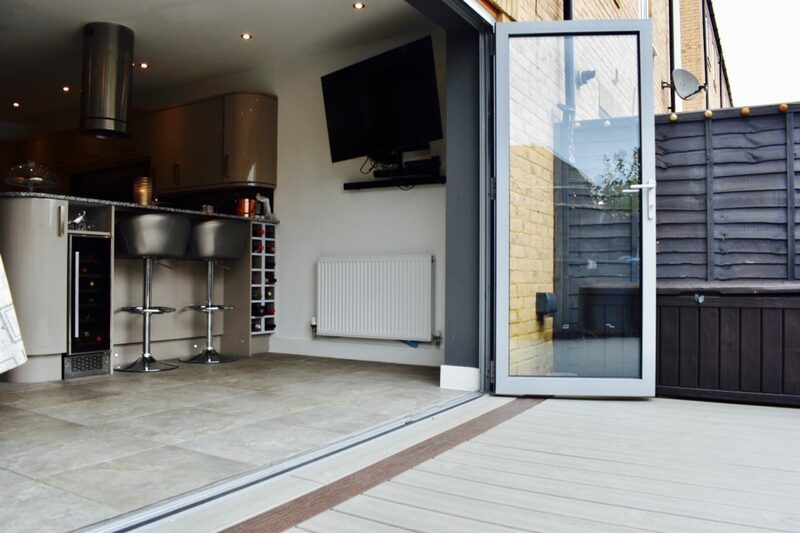 Another perfect example of a 1-3 or 3-1 configuration – where the customer can enjoy a single ‘traffic door’ in the colder months whilst still retaining the option to open up the entire door system in the summer. 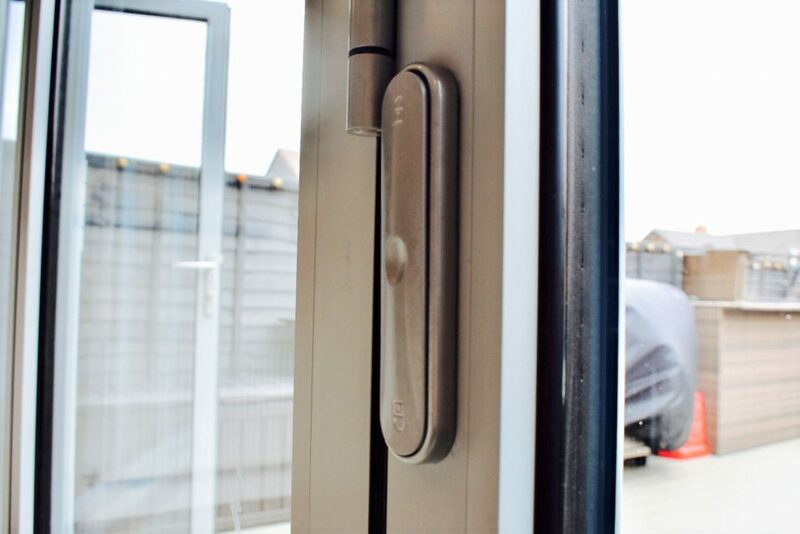 All 4 doors can only slide in the same direction if this ‘orphan door’ is not used, which will allow the customer to open the doors solely from the inside and therefore no external access. 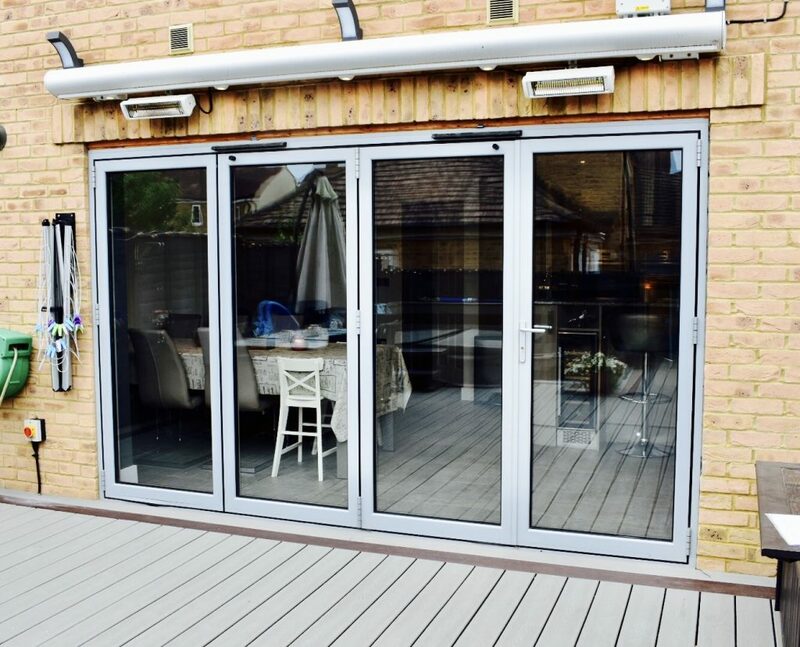 4 Panel Bifolding doors in Ral 7040 ‘Window Grey’, 3-1 configuration opening out. Accompanied by satin furniture and trickle vents.